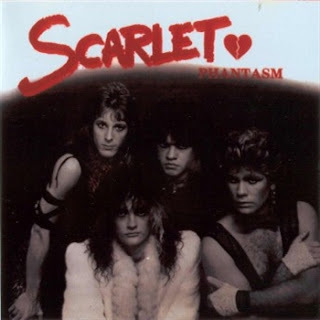 1) Scarlet - St 1983 "Reissue"
Scarlet was originally formed in the summer of 1983 by 4 friends from a Youth group in Tampa Florida. Originally as a studio project, the song "Friends" was birthed as a Demo and things would begin to take shape. Jeff and Ronnie carried on with the help of lifelong friend and studio drummer Mark Busto. The 3 went into the studio in 1984 and recorded "Stop Runnin" The song began to get air play on a local radio station and won a statewide songwriting contest. The Band won a thousand dollars and studio time which financed future recording sessions. "Stop Runnin" was submitted to "MTV's Basement Tapes" contest in 1983 and finished as a top 4 finalist. Acquiring Kip Thompson as a full time member, the group began play out and build their following. Returning to the studio in 1985, the band recorded anthem,"Were gonna Rock" and "The Armour" Local radio picked up and began playing "Were gonna Rock" The song began to win weekly listener voted contests as "King of the Mountain" for many weeks in a row. 1986 would soon bring change as the Band decided to go in a Heavier sounding direction and added drummer Jimmy Moore. "I Declare war" would birth from the next studio effort and begin the final chapter in the Band's saga. The final step of the Groups evolution was adding guitar phenom,"Michael E Flake" Michael's virtuoso sound was the perfect compliment to the groups direction. The Quartet would play many theaters and clubs through out central Florida. Scarlet would return to the studio one final time namely "Morrisound recording studio" to record 2 new songs. 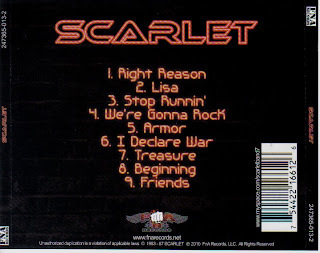 "Lisa" and "Right Reason" would be some of the bands finest recordings. Eventually parting in 1988, Ronnie and Michael would move to LA to pursue other avenues while Jeff and Jimmy would join Brett and Brad Warren to form "St Warren". 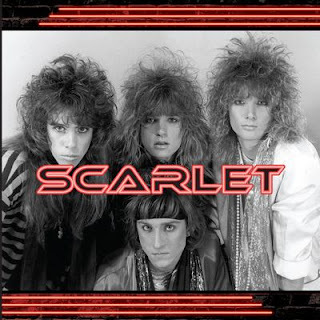 Scarlet had a strong impact on the local Tampa Bay music scene. Their live shows with catchy songs and exciting stage show will always be remembered. 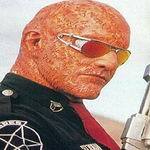 Last edited by Hellcop on 21 Oct 2013, edited 4 times in total. ятак понимаю ты с помощью http://www.general-files.org и различных file tube ищешь да ? Ты ж так и не читал мануал от Артёма, как нужно искать в Гугле? Или читал, но ни вникал в суть, ага? Очень большие сомнения у меня, что все 9 трэков исполняет одна и та же группа. Какое-то болгарское самопальное издание альбома. Вэб-сборка, короче, а не полный альбом. Это совершенно иная группа. И скорее всего британская. Пока полторы песни оценил. Кавер + явно собственная песня в стиле 70-х. Серёг, у меня для тебя есть задание. Вернее. даже просьба. Сможешь найти инфу по этой группе и красивенько сюда к нам оформить?